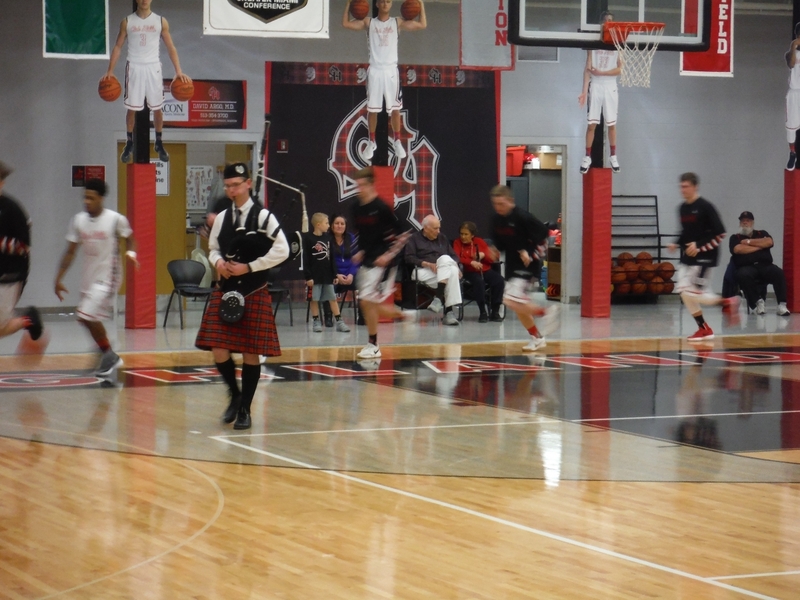 OHHS started a bagpipe club less than three years ago. 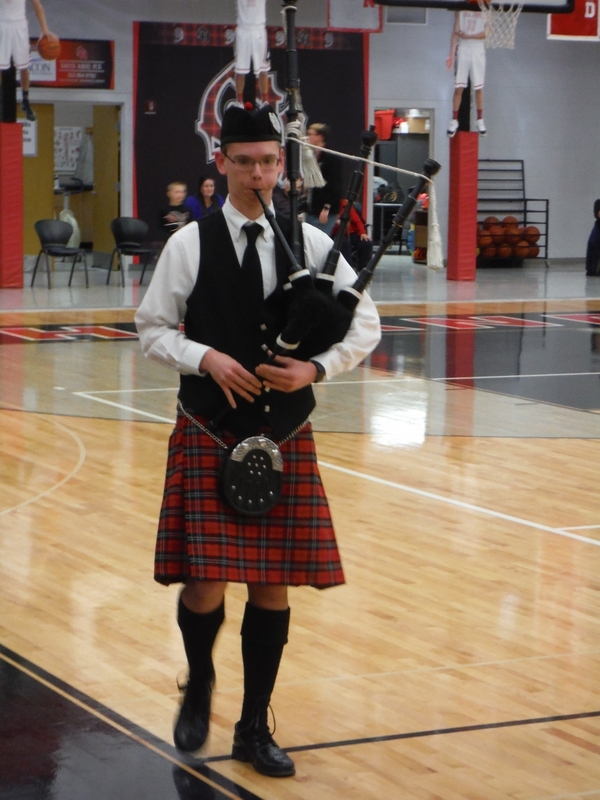 Michael Buchert was one of the students who decided to join the club and learn to play. Michael has mastered this instrument in that short time and has been in demand ever since that time. 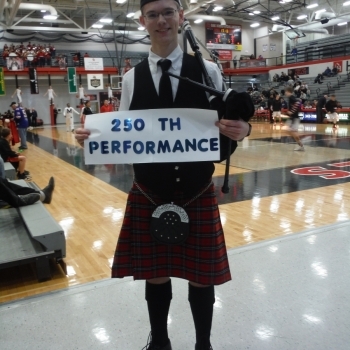 On January 22, Michael played his 250th performance on the bagpipes in less than three years at the OHHS basketball game. 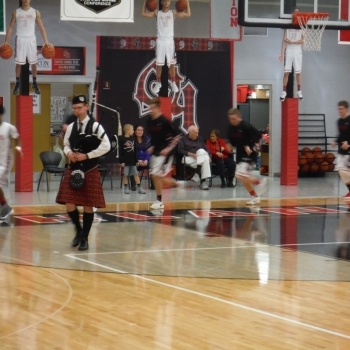 Michael has performed at OHHS basketball, football and youth football games and also at alumni events, veterans events, graduation and many more. 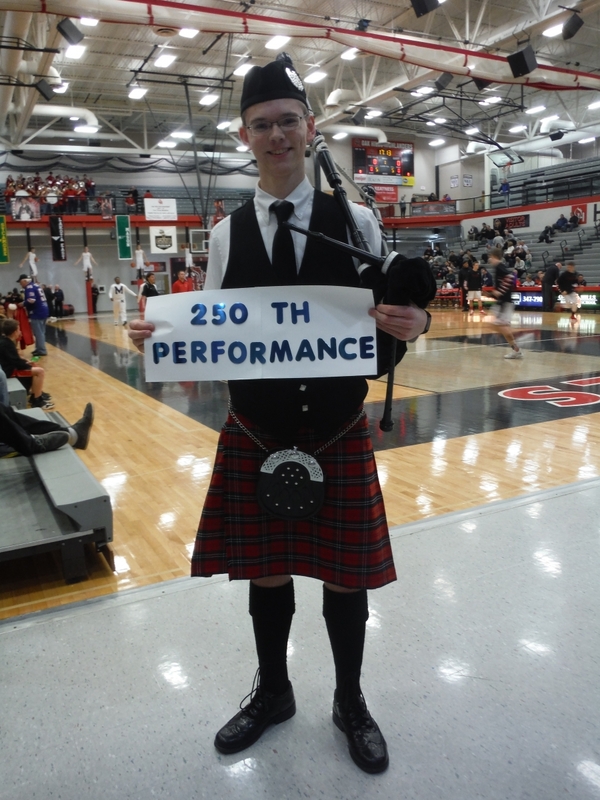 Congratulations to Michael for a job well done.